And yes, I did read it before sharing. Jokes on you(or the author) I don't have social media to share it. I read half of it. Does that count? the first equation is for calculating the semimajor axis of the hohmann orbit, the second is for figuring out the delta V to reach it. i'm looking at from saturn to jupiter... i'm not an expert, but i am getting 8000 m/s and i feel this is somehow wrong? cause it's higher than the answer I get for Saturn-Mars... which is a more demanding maneuver. This is why in physics we use variables first, and then plug in at the end of the day. Your numbers and equation means nothing to anyone but you since you simplified it to wherever you are in solving the problem. No one can really help Unless they happen to have the equation for dV between different orbits memorized but I'm not sure many people do..I surely don't. Rewrite with just the equations and list out the constants, such as RJupiter and RSaturn, at the top like one would in programming. I'm willing to wager you will find where you went wrong in the process. My intuition tells me you are probably off by an order of magnitude because 800m/s seems like a reasonablish answer...could be anywhere from 800 to 4000 I have no idea I've never done the math. It could also be totally off and something somewhere went wrong. the numbers are the gravitational constant and the mass of the sun, to calculate the standard gravitational parameter in this scenario. as it turns out, something got lost in translation -- so your advice helped! SmA = (Mass1 + Mass 2)/2 = reducedMass. and explicitely state each variable you're plugging in for most generally, then say that mass1 = Jupiter and mass2 = Saturn. It's always helpful to explain your equations in most basic forms so that even though someone may not be familiar with the exact equation you're trying to use, they can still help you solve it and find your mistake. As it stands I still wouldn't know what to google for to find that equation or where to start researching to find where you're at. "Small Asteroid Is Earth's Constant Companion"
(Mass1 + Mass 2)/2 = reducedMass. I'm not familiar with the mathematics of orbital transfers. Does "reduced mass" mean something different in this context? Because it's usually Mass1*Mass2/(Mass1 + Mass2). I've never seen it used to refer to the average mass before. Nope, I just goofed and was trying to figure out what kindred was doing and incorrectly saw reduced mass. You are 100% correct. NASA's Juno spacecraft captured this photo on June 28, 2016, at a distance of 3.9 million miles (6.2 million kilometers) from Jupiter. 50 years from now there will most likely be a StarBucks waiting for you as you enter orbit around Jupiter after your long journey. With a big neon sign the size of a small moon. PASADENA, California — The stakes and the risks are high for a NASA spacecraft's long-awaited arrival at Jupiter tonight (July 4). The Juno probe is scheduled to enter orbit around Jupiter tonight at 11:53 p.m. EDT (0353 GMT on Tuesday), after a crucial 35-minute engine burn. If something goes seriously wrong with this maneuver, Juno will sail right past the gas giant, and 15 years of mission planning will go out the window. "It's make or break for us," Juno project manager Rick Nybakken, of NASA's Jet Propulsion Laboratory. 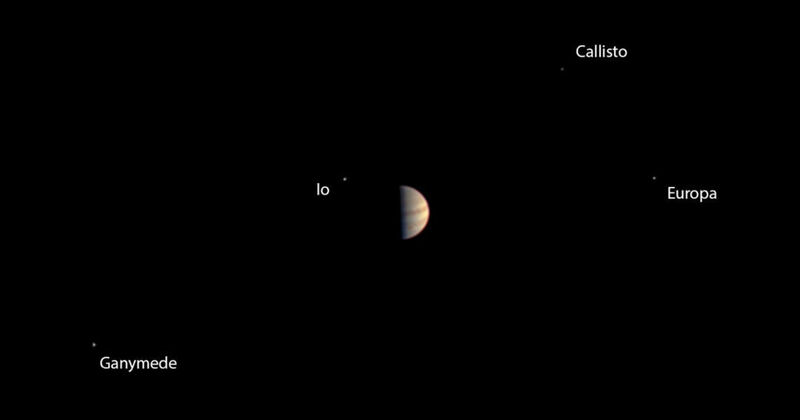 This is the final photo taken by NASA's Juno spacecraft before its instruments were powered down in preparation for the July 4 Jupiter orbit insertion. 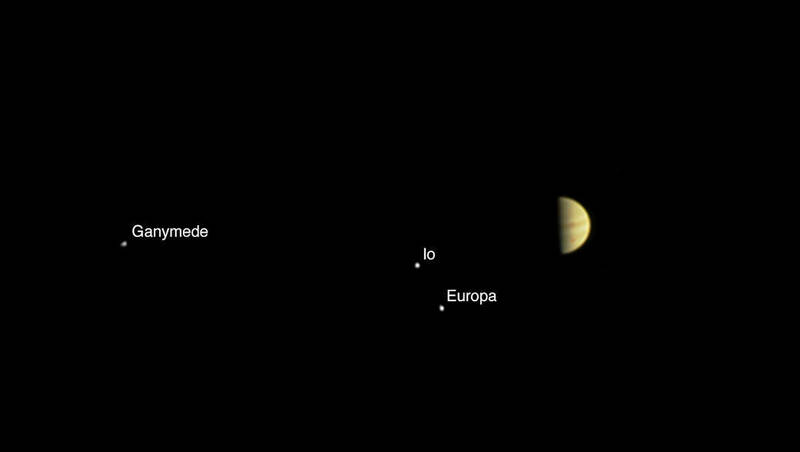 Juno captured this image on June 29, 2016, at a distance of 3.3 million miles (5.3 million kilometers) from Jupiter. This is Juno's JOI realtime simulator. Juno will be broadcasting around 7:30PST, 10:30EST. It takes about ~48 minutes for us to receive Juno's transmission. Also, happy 240 years old America. Wow, pinging the #Juno spacecraft takes almost an hour for a reply! !